Tecsupporter.com is the PUP that uses misleading techniques to prevent removal. Use Reimage to locate malicious components and get rid of them faster than with uninstall instructions. A full system scan blocks virus reappearance and prevents traffic to malicious domains. Tecsupporter.com is a suspicious website which injects ads, pop-ups, banners, deals, coupons and other sponsored content directly into Google Chrome, Internet Explorer, Mozilla Firefox or another browser. 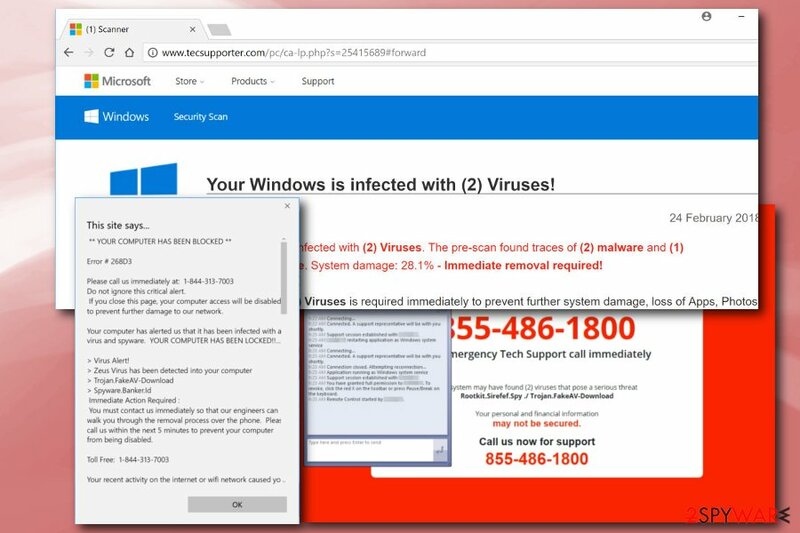 These redirects are typically caused by an adware program installed on users’ machines. Commercial content distributed by pop-ups, ads, deals, redirects, etc. Adware is comparably harmless software that does not corrupt system or program files. However, the central principle of the way these type of programs work might lead users to adverse consequences. The main dangers of such programs are malware attacks and personal information leakage. Therefore, we recommend not delaying Tecsupporter.com removal. Tecsupporter.com ads might be of various content: some may look attractive and legitimate, while others might lead to questionable retailers. The primary goal of adware is to boost traffic to less-known websites and promote their products and/or software. Typically, adware authors generate revenue through the pay-per-click, pay-per-install or pay-per-purchase scheme. What is more, users might be rerouted to a phishing website that might trick them into installing useless software or provide personal details. This data (for example, full name, home address, email address, credit card details) can later be used for illegal purposes, such as identity theft or money stealing. Browser starts running sluggishly, etc. As evident, we recommend you to remove Tecsupporter.com virus immediately. It brings you no benefit, exposes you to unwanted content and increases the risk of malware infections. Also, do not forget that adware can multiply quickly. Thus, do not be surprised if security software Reimage finds additional potentially dangerous components on your system. So make sure you perform a full system scan. 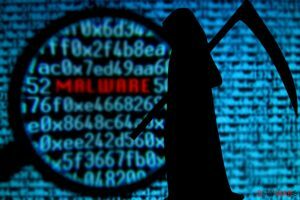 Adware can infiltrate systems without much effort when users do not pay close attention to freeware installation process. Software installers often include optional components which should be avoided. However, it is not possible unless the installation is not rushed and promptly analyzed. Losvirus.es security experts conducted research and concluded that third-party websites could promote malicious files as legitimate ones. Therefore, avoid fake software updates, torrent sites and other domains of dubious content. Also, if you get redirected to a questionable website, never click on anything and leave the realm immediately. There are way ways you can remove Tecsupporter.com redirects: manually and automatically. You can find manual Tecsupporter.com virus removal guide below this post. Every effort has been made by our team to make instructions as distinct as possible. If you still struggle to understand them, opt for automatic elimination method. As we already mentioned, suspicions redirects might lead you to perilous domains; hence, we recommend scanning your system with a robust security tool. The scan only takes a few minutes. It can also determine and eliminate all other threats on your machine. Here, look for Tecsupporter.com or any other recently installed suspicious programs. Wait until you see Applications folder and look for Tecsupporter.com or any other suspicious programs on it. Now right click on every of such entries and select Move to Trash. When in the new window, check Delete personal settings and select Reset again to complete Tecsupporter.com removal. Once these steps are finished, Tecsupporter.com should be removed from your Microsoft Edge browser. Your Firefox settings might still be altered by adware. Thus, do not forget to set them to default. Here, select Tecsupporter.com and other questionable plugins. Click Remove to delete these entries. Now you will see Reset Firefox to its default state message with Reset Firefox button. Click this button for several times and complete Tecsupporter.com removal. Here, select Tecsupporter.com and other malicious plugins and select trash icon to delete these entries. Click Reset to confirm this action and complete Tecsupporter.com removal. Here, select Extensions and look for Tecsupporter.com or other suspicious entries. Click on the Uninstall button to get rid each of them. Now you will see a detailed dialog window filled with reset options. All of those options are usually checked, but you can specify which of them you want to reset. Click the Reset button to complete Tecsupporter.com removal process. ^ What is adware?. Kaspersky Lab. International security company. ^ LosVirus. LosVirus. Spanish security experts. This entry was posted on 2018-03-27 at 08:54 and is filed under Adware, Viruses. You can quickly scan the QR code with your mobile device and have Tecsupporter.com manual removal instructions right in your pocket. How did you remove Tecsupporter.com?